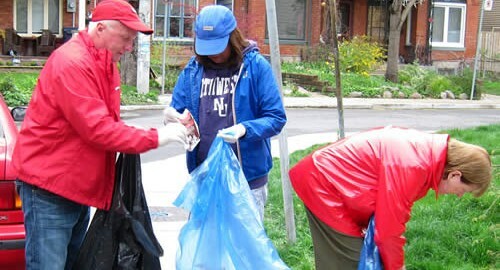 On Saturday April 26 (or Sunday April 27) join thousands of fellow Toronto residents for some spring cleaning as part of the City’s “Clean Toronto Together 2014” initiative. The Parkdale Residents Association will be sponsoring local clean-up crews. Become a street captain and get others involved! 1. Find a local block, street, park, laneway or other space in Parkdale that needs some cleaning attention and adopt it! 2. Invite your family, friends and neighbours to help out. 3. Register your event below. The PRA will provide a cleaning kit and even deliver coffee! 4. Spend some enjoyable time in the fresh air helping to beautify your adopted space. 5. Send us a photo of your group so we can post your good work in this space.